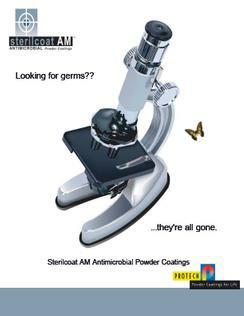 SterilcoatAM® is the Protech/Oxyplast Group’s line of anti-microbial powder coatings that prevent the spread of dangerous micro-organisms and suppress the growth of mould and bacteria. Independent laboratory results show a significant decrease in microbial population on surfaces coated with SterilcoatAM®. These powders are formulated to provide this protection over an extended period of time and frequent washing of a SterilcoatAM® finished surface will not reduce the powder’s anti-bacterial properties. SterilcoatAM® powders are extremely durable and demonstrate outstanding chemical and stain resistance. 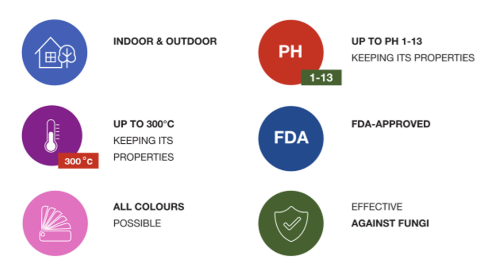 They are available in a wide range of colours and textures and can be formulated in any chemistry. SterilcoatAM® is the ideal application for hand rails, fitness equipment, bathroom partitions, hospital equipment and any other surface that may breed harmful bacteria.